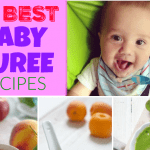 Making your own baby porridge or baby oatmeal is super easy and it’s a much cheaper way to feed a weaning baby than the packaged variety. My little boy is beyond the weaning stage now. At 20 months old he’s pretty much eating everything that the rest of the family eats. 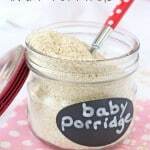 But as I was buying another big bag of oats in the supermarket this week I was reminded of how I used to make my own baby porridge (or baby oatmeal) last year and I thought I would share my tips here. 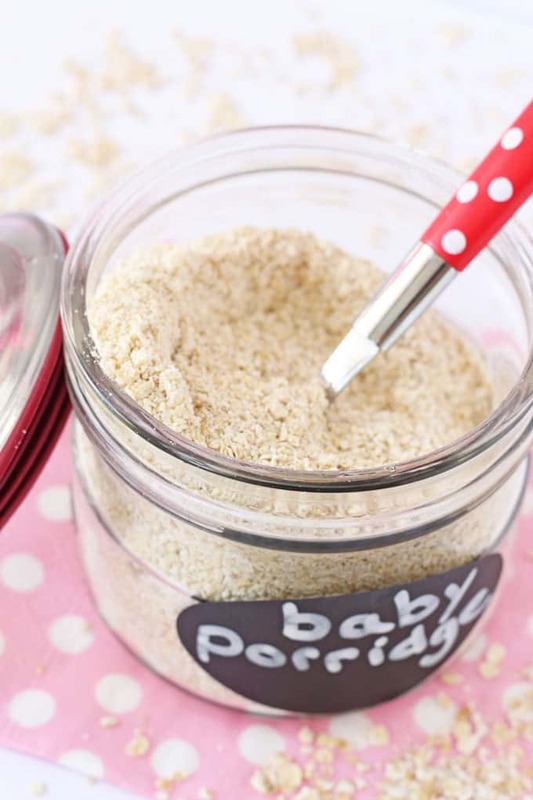 Baby porridge is one of those foods that lots of parents choose to feed their baby in the early days of weaning. Soft and creamy and with a very mild taste it’s a great first food. 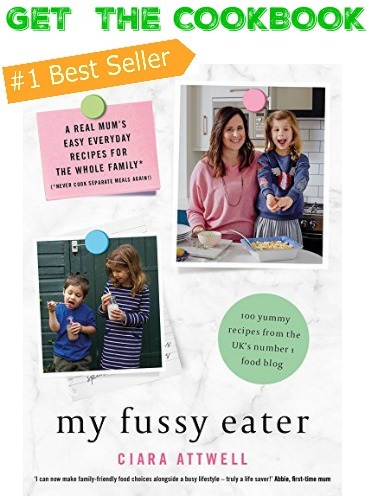 There are lots of companies making packaged baby porridge but did you know that with just a food processor you can make your own finely milled baby oats for a fraction of the price? 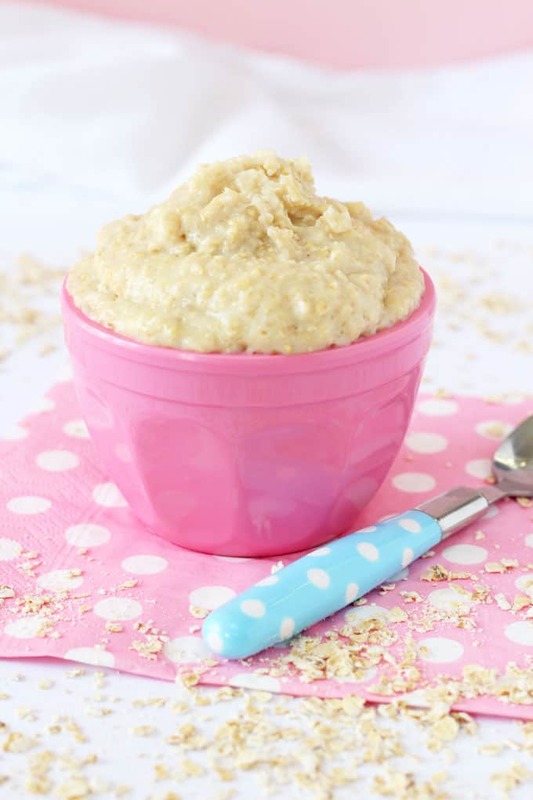 Rolled oats are a little too big and chewy for a small baby with few teeth to manage but by blitzing them in a food processor you can create an almost flour-like consistency to the oats which makes them a lot easier for babies to eat. You can batch make the fine oats in any quantities you like and then store them in an airtight glass jar or plastic container for several months. 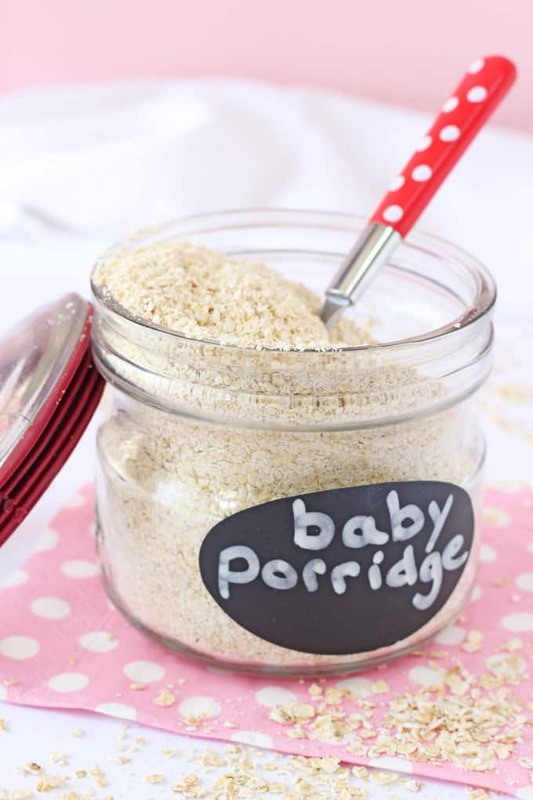 To make the porridge simply add one part oats to two parts of your babies usual milk (breast milk, formula or cows milk all work fine) and gently heat it in a saucepan, stirring regularly until the milk has absorbed. You can also add your own flavours to the porridge with unsweetened apple sauce, grated apple, mashed banana or desiccated coconut. I did a quick price comparison in my local supermarket and a leading brand of baby porridge works out at £1.60 per 100g whereas the supermarket own brand rolled oats are 7.5p per 100g. 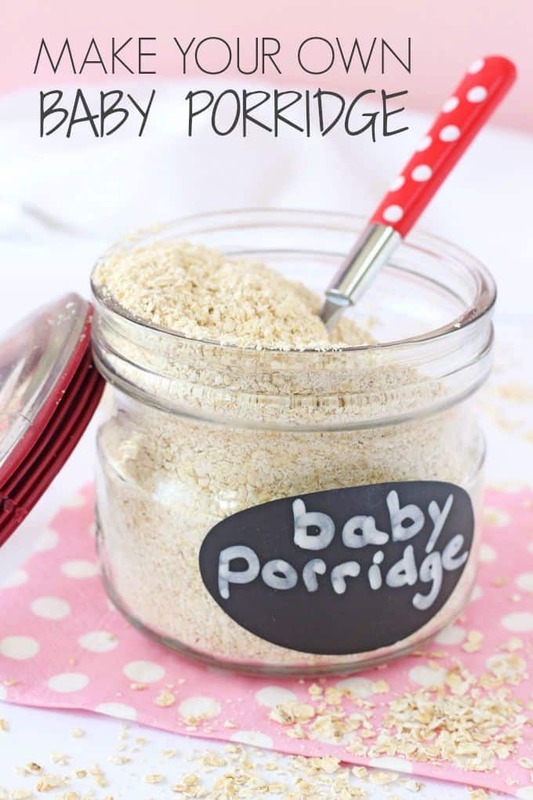 For that reason alone I think it’s definitely worth taking the time to make your own baby porridge! 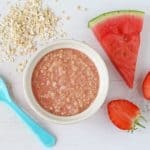 Making your own baby porridge or baby oatmeal is super easy and a much cheaper way to feed a weaning baby than the packaged variety. Place the oats in a food processor and blitz until they become fine, almost a flour consistency. Store in an airtight glass jar or plastic container. To make the porridge or oatmeal use 1 part oats to 2 parts milk and heat gently in a saucepan for 3-4 minutes, stirring regularly. 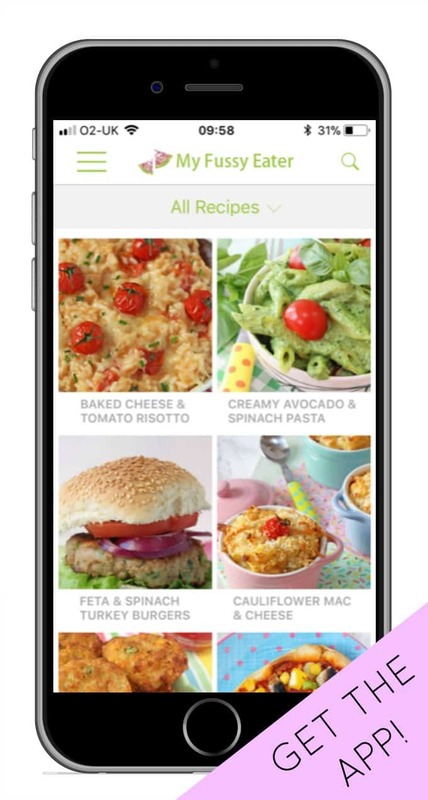 To make flavoured porridge add grated apple, mashed banana, desiccated coconut, etc to the oats while cooking. So glad I found this as the supermarket bought ones can be so expensive and I always wonder what added extras are in there that my l.o. doesn’t really need in there! 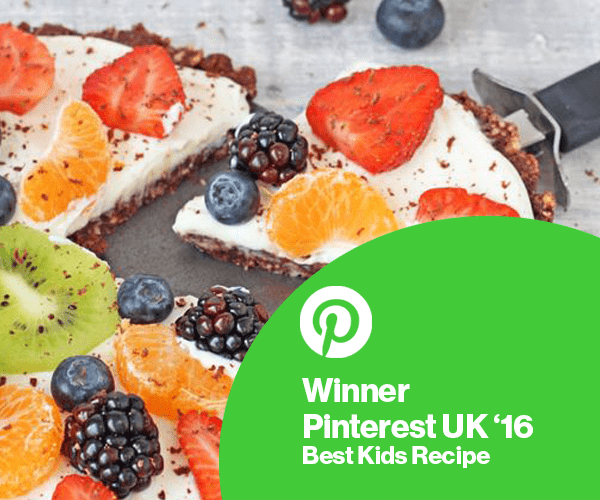 It’s super easy to make as well which is great when you spend most of your time changing nappies! You shouldn’t boil or cook breast milk though. Hi! Do you know what age I can start this with my newborn? Speak to your health visitor / GP / Paediatrician but in the UK weaning is recommended to start at 6 months. What a great idea! Do you know what the iron content is, though? I know iron is a big reason babies are introduced to cereal now anyway. 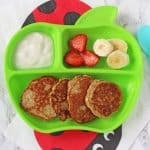 Hi, I don’t know the iron content but with a well balanced diet babies and toddlers should be able to get enough iron from all the food they eat.